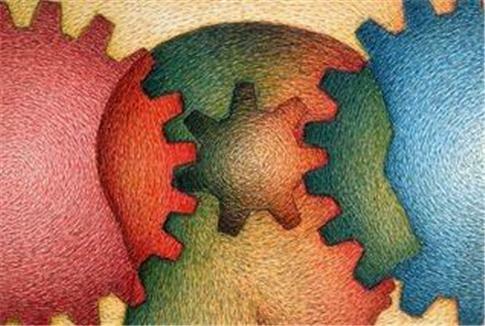 Industrial-Organizational Psychology (I-O Psychology) is a growing field within the behavioral sciences. It concerns the study of human behaviors within organizations and workplaces. Webinars are great tools for learning more about I-O Psychology, both for those considering this as a career path and those looking to progress further in the field. These 5 webinars are excellent resources for all. The Society for Industrial and Organizational Psychology (SIOP) offers a continuous stream of webinars on a variety of topics. They currently offer two mini series. The first is for current practitioners and focuses on the following practical interest topics: HR Analytics, Giving Effective Feedback, Employee Engagement, Succession Planning, Having Influence and Impact, Leadership, and Learning Agility. This webinar series is designed to aide current and seasoned I-O Psychology researchers, professors, and practitioners in improving workplace success and growing within the field. The information reflects advanced knowledge and provides specific tips for implementation. The second SIOP mini series is geared towards current students and those considering a career change to I-O Psychology. The topics of this webinar include a student’s guide to SIOP membership, frequently asked questions about I-O Psychology graduate programs, current I-O Psychology topics, the daily task of an I-O Psychologist, and available careers in I-O Psychology and how to pursue each. The webinar is informational in nature. It is designed to give individuals an overview of the current standing of the field and tips on how to enter and become established in the field. I-O Psychology is one subfield within the broad field of Consulting Psychology. The Society of Consulting Psychology offers a rolling series of webinars designed to help students and new professionals better understand their roles within the field. There is a link to click for access to webinars of interest that have already taken place. Aenzi is an institution designed to help organizations and individuals utilize knowledge about the behavioral sciences to achieve professional success. This webinar is tailored to those considering or new to pursuing degrees and careers in I-O Psychology. The topics include: Work Motivation and Attitudes, Performance Measurement and Rewards, Employee Selection, Leadership, Occupational Health and Safety, and Organizational Development and Change Management. Those who enjoy this webinar are invited to contact Aenzi for information about future live events. Most I-O Psychologists will need to pass the Examination for Professional Practice in Psychology (EPPP) in order to fulfill the requirements for their professional roles. The Association for Advanced Training in the Behavioral Sciences has put together a comprehensive webinar to prepare future examinees. The webinar will not only coach attendees on strategies for studying and taking the test, but it will also cover techniques for coping with test anxiety and remaining motivated throughout the challenging process. Webinars are valuable tools for learning more about a field and deciding which steps to take next. They are cost effective and conveniently accessible from a home computer. This comprehensive list of webinars has something to offer individuals at every step of the career path in the field of Industrial-Organizational Psychology.